Hi, it's been too long since we talked about work, my work. Some updates. 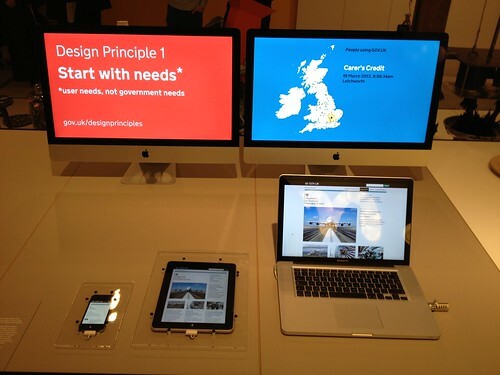 I am delighted that GOV.UK is nominated in the digital category for the Design Museum's Designs of the Year. 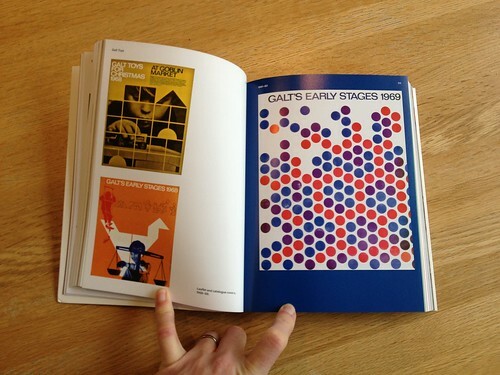 We made a few things for the exhibit and I wrote about it on the GDS blog. 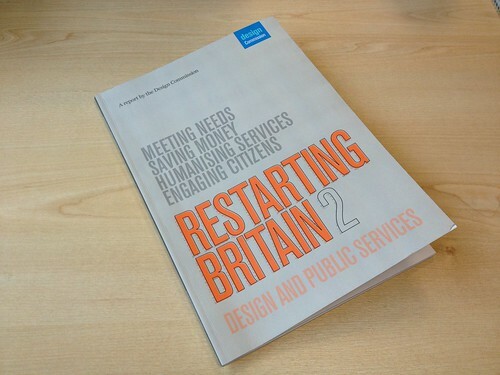 There is a parliamentary Design Commission and they have written a good report about design in public services. Something I'm obviously interested in. 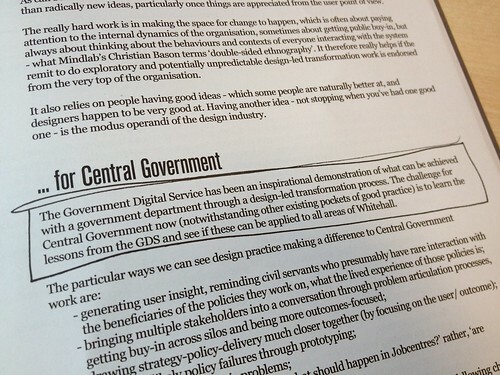 It speaks favourably about GDS and once again I've blogged about it on the work blog. Questions about that report in parliament are what led to Francis Maude talking about user needs, which I blogged about t'other day. 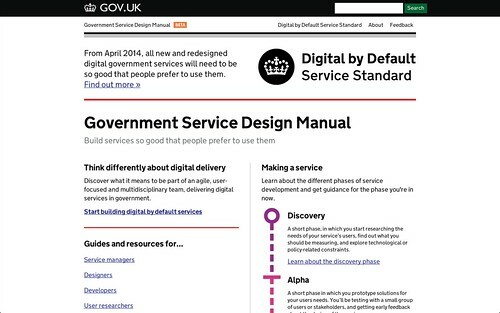 Last week we laucnhed the Government Service Design Manual. 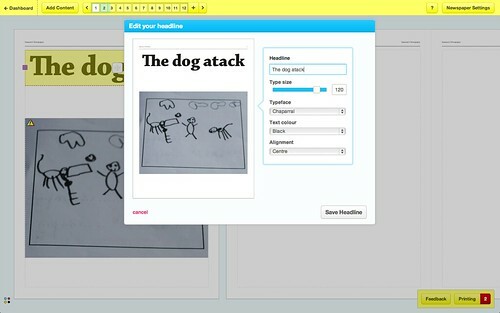 It's similar to the Design Principles but much wider. It covers words, open source, building a team, agile and lots more. If I'm honest the design stuff is a bit thin, I need to add more, or you can grab the code on GitHub and suggest changes yourself. Make it better. 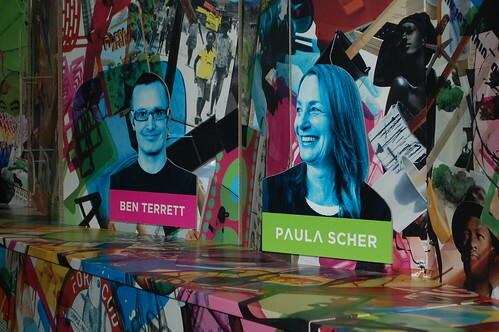 A few weeks ago I was in Cape Town speaking at the wonderful Design Indaba conference. That deserves a whole blog post on it's own, so I'll do that soon. Incredible conference, wonderfully organised. 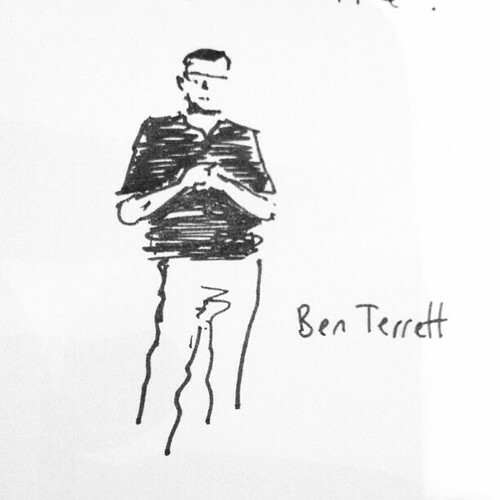 I spoke at the Design Council on Tuesday where I basically made a plea for "less reports, more delivery" and I'm speaking at the RCA next month as GOV.UK is featured in a Helen Hamblyn exhibition of 20 Inclusive Design projects. It will be summer soon. The kids are doing brilliant in their piano exams. The dog is still with us, but getting older every day. Joan has taken up croché. I hope you have a great Easter. 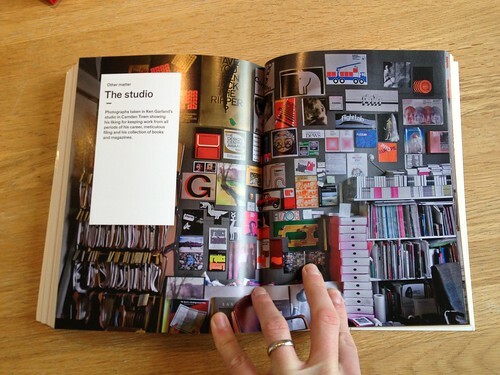 Art direction. We spoke about that along time ago. Nearly 7 years ago - remember? I keep seeing these two posters around town, one is an example of bad art direction, one is an example of good art direction. But who on earth decided to put Rory in a red polo shirt? On a red background! 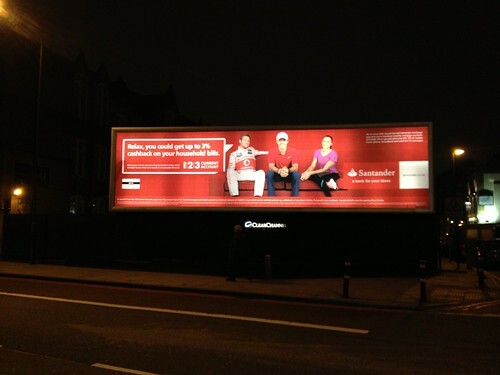 I'm guesisng the red background is a standard brand thing for Santander, in which case someone has to ask Rory to wear or different shirt. Or, more likely, provide him with a different shirt on shoot day. And Jess! Star of the Olympics! Inspiration to a nation! Who put her in that purple? Which is redish and doesn't really stand out from the red. Both of them just blend into the background. From a distance its really hard to notice them. 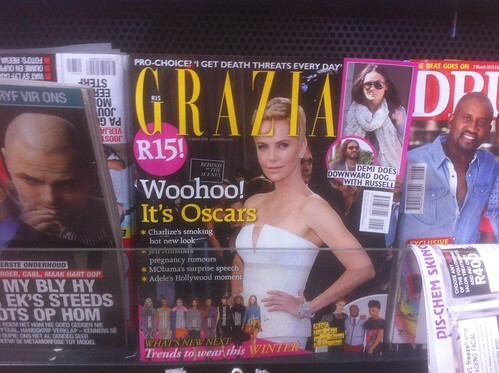 It's lazy art direction. Bad. Now here's the good. Disclaimer, this is done by my old agency. These ads don't feature any glamorous celebrities. They're pretty straight retail ads. The feature groceries. Groceries. 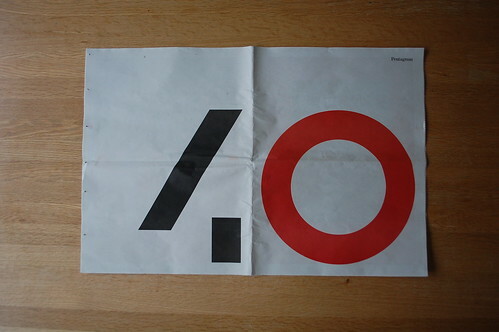 Yet the art direction is exquisite. Crafted. Considered. Clever. There's a whole series of them and the way they're based on the colour spectrum is beautiful. 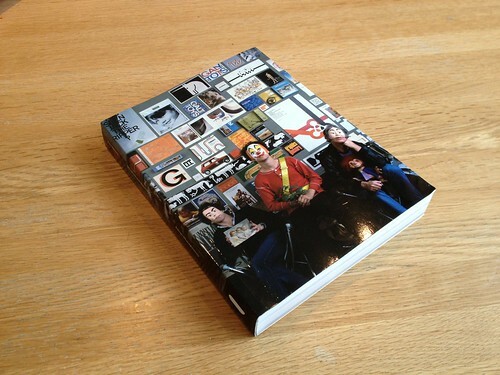 It makes my design disease heart leap for joy. Such a simple idea. The use of the slightly off white colour is well thought out. The lighting and the typography creates the feel of the checkout in an elegant way. But they're cleverer than that. All the ads feature something big brand, something fresh food and something own label, which is the point of the ad. Not just beautiful - smart and communicating a message. Brilliant. 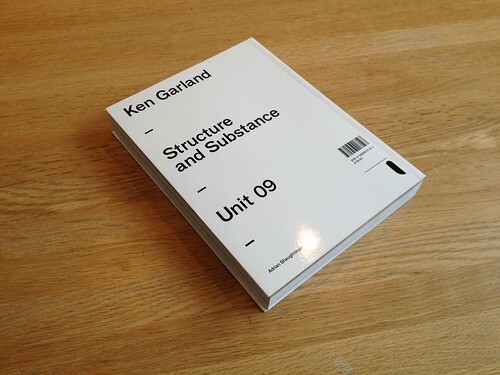 I just finished reading this book on Ken Garland, from Unit Editions. It's really good. Garland has lots of good work which is illustrated well, and he's a very interesting person which is also handled well by the lengthy interview. 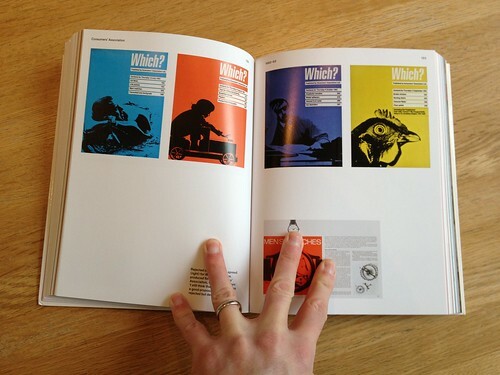 Unit Editions continue to make good graphic design books. Garland is most famous for his First Things First manifesto, even though there's much more to him than that as the book is testament to. 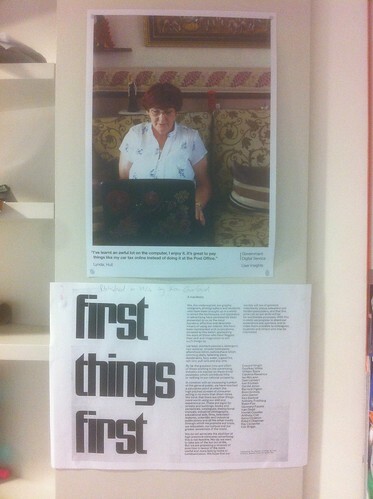 The First Things First manifesto is interesting to me in my current job for obvious reasons. 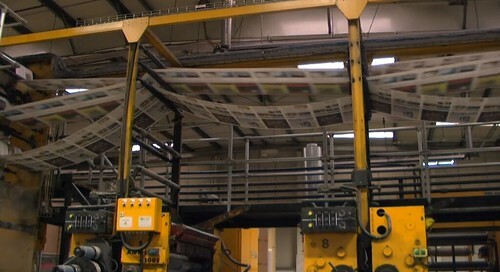 More details on the Newspaper Club blog. On Wednesday, answering questions about this report. I'm guessing all the writers were away that day.